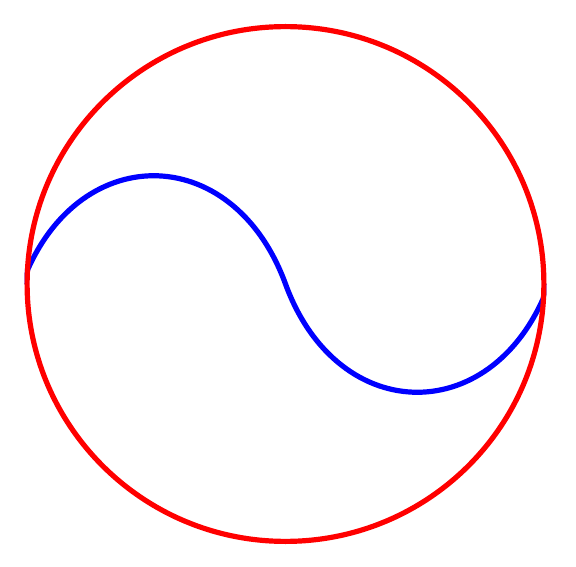 The problem, is that the edges of the curve do not align in the way I would like with the edge of the circle. 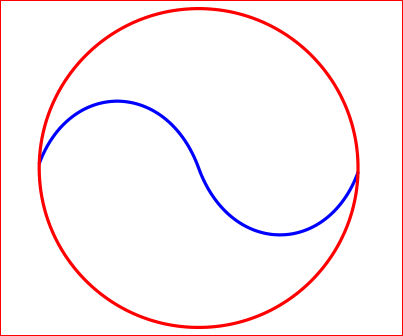 What I want is for the blue curve to extend only to the internal edge of the red circle. 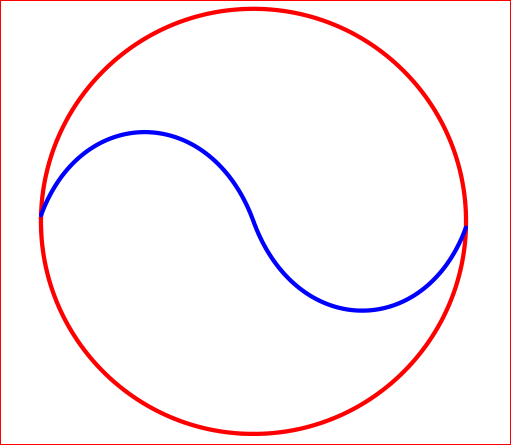 Now, I could simply draw the curve first, and use a invisible node, but the problem there is that some of it would still be visible since it extends past the outer edge of the circle. 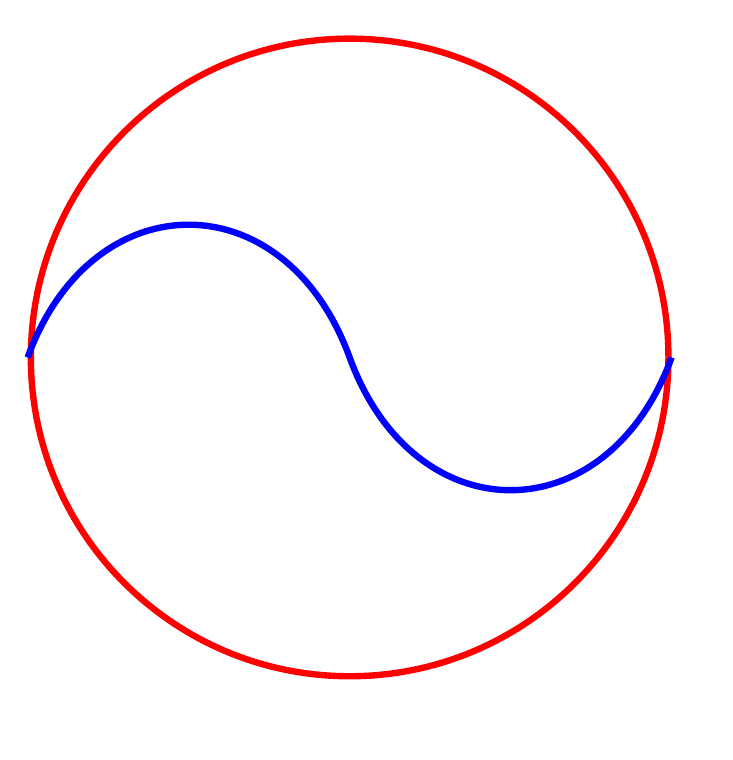 Also, it seems like a decidedly inelegant solution.